Life in Russellville Arkansas....it's a beautiful thing. Whether you're retiring, relocating, buying your first home, or just need a larger home for your family, you came to best place to get exemplary guidance and advice on buying a home or selling a home in The River Valley Arkansas area. Real Estate. It's my Life, and I love sharing knowledge about homes for sale and the value of your home in today's real estate market. The real estate market changes daily with new guidelines, new rules, and new contracts, and your REALTOR® should be educated in every facet of the local market. At RE/MAX First in Russellville Arkansas, that's what we do everyday. We recognize that your house is the largest investment you will make, and we take that very seriously!! The average sales price for a single-family home in Russellville Arkansas is around $110,000.00. The population of Pope County Arkansas is around 50,000. Several major businesses make up the primary economic life of Russellville, including Arkansas Nuclear One, Arkansas Tech University, Tyson Foods, and ConAgra Foods. For more information about the Economic Development of Russellville Arkansas, please visit the Russellville city website. I have used Tabatha and her well seasoned team on many occasions to purchase properties in Pope County, Ar.. I thank my lucky stars for guiding me to her door. 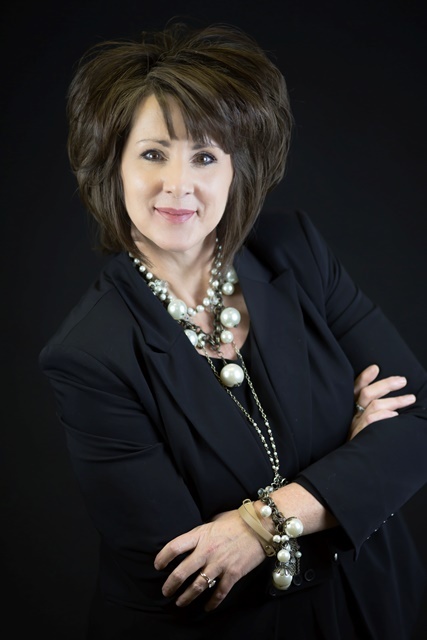 She, and her Re-Max team are highly knowledgeable in the in's and out's of the complexities concerning the purchase/sale of all properties (Residential, Business, and Vacant Land) in Pope County. I hope to continue our relationship well into the future. Sold a Single Family home in 2015 in Russellville, AR. It was a pleasure working with Tabatha. She sold two homes for us. Her and her team made the process so easy. Plan to list with her for any future sales. We don't have to worry about anything when we put our property in your hands to sale.. You and your team at “REMAX” are the best in the River Valley at what you do.. You have outstanding customer service and you and your staff are dedicated to follow up and execution of their objectives. We are so very thankful to of found you and your team and it's our pleasure to continue our working relationship for years to come even after the sell. You’re not just a broker to us you’re a good long lasting friend. Thank you for everything! Bought a Single Family home in 2015 in Russellville, AR. Tabatha and her entire crew are an absolute joy to work with. They are extremely knowledgeable and responsive. I would never look anywhere else for someone to help me with my real estate needs. Thank you so much for such kind words!!! We strive everyday to make a difference!! Tabatha is dedicated to helping others and works hard to make the best deals. She is currently helping me sell a condo and has listened to me every step of the way. I would recommend her to anyone who is looking to buy or sale. Tabatha made selling my home a breeze. she and her staff took care of literally everything and knew the market inside and out including changes before they occured. its evident that she cares deeply about the quality of her work and relationships she builds with her clients. i would recommend her to anyone and everyone who is looking to make a real estate deal in the river valley. Bought a Single Family home in 2013 in Russellville, AR. Bought and sold a Single Family home in 2004 in Dover, AR. I have known Tabatha for many years and consider her a very good friend. She has helped me with buying and selling several homes. She is very knowledgable, helpful and easy to talk to. I have and will continue to recommend her and her staff to friends and family. Tabatha has gone above and beyond to assist with the sale of our property. With quick responses to emails, voicemails; with professionals, such as handymen and attorneys, that genuinely care about clients. I recommend Tabatha to anyone needing to sell or buy a home. Sold a Single Family home in 2014 for approximately $125K in Dardanelle, AR. Tabatha and her team at Remax are the best agents in the area! 5 years ago we relocated to this area and Tabatha helped us find out home. Now we are moving again and she sold our home for us. Everyone is very knowledgeable, professional, and genuinely interested in you as a client. Customer service is above and beyond expectations in all areas! I would highly recommend Tabatha whether you are buying or selling a home!